Comments The sixth day of the Navratri is where the Goddess Durga is worshipped in the form of Mother Katyayini. The legend of the birth of Katyayini is well known where she is believed to be formed out of the cumulative energies of the Hindu holy trinity of Brahma, Vishnu and Mahesha. The multitude of gods then armed her with various weapons and she later annihilated the demon Mahishasur, coming to be known as Mahishasurmardini. 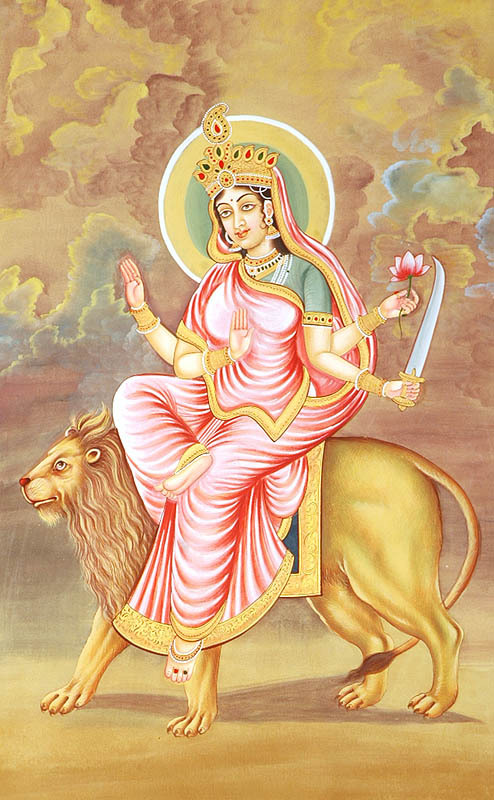 Mother Katyayini is depicted as the resplendent one with four arms, three eyes, seated on a ferocious lion. She holds a sword in one hand, a lotus in another. One hand is in the varad mudra and other in the abhay mudra for the devotee. On this day, the meditation is focused on the Agya chakra also written as Ajna chakra or the third eye chakra. This chakra is the centre of consciousness – insight, intuitiveness and gateway to learning about truth/ reality. 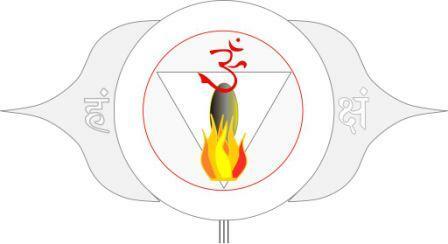 This chakra is represented by a two petal led lotus symbolizing Shiva and Shakti. It is believed that the three subtle channels or Nadis – the ida, pingala and sushumna of the sookshma Sharir (subtle body) meet in this Triveni area, where pure consciousness can be glimpsed at. The navratna associated with Mother Katyayini is the emerald. Featured today is a fine natural and treatment free Zambian emerald of 2.07 carats set in 22-karat gold as a Mercury talisman ring. The natural classic emerald cut gem has a deep rich emerald green color. It has good clarity and is pulsating with energies of planet Mercury. Natural emerald or panna gemstone is the gem of planet Mercury/ Budh and it’s powers can be harnessed by setting the emerald in a talisman for personal use. 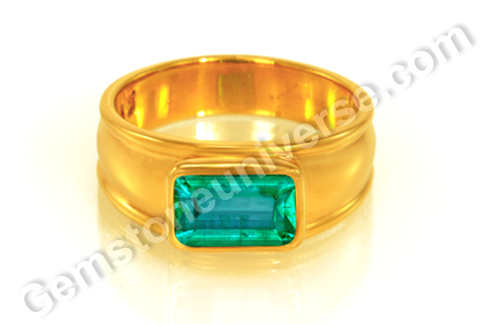 For jyotish purpose, emerald can be worn by individual with Mithuna lagna and Kanya lagna. In other words, individuals with Gemini or Virgo ascendant can wear emerald as a lucky birthstone.